Some of my favorite anecdotes in “Animal, Vegetable, Miracle” are in the chapters where Barbara Kingsolver describes preserving the fruits and vegetables from her family garden. “Putting up”, as some folks call it, was as common a practice as making bread until the American grocery store replaced the need to bake and preserve our own local food. I fell in love with the idea of keeping some of my favorite summer foods preserved for the longer, darker days of winter – rows and rows of tomatoes for sauces, peach jam, plum preserves. But it seemed silly to preserve the foods I later found were available year-round in the milder climate in which I now live. Why go through the trouble of canning 10lbs of tomatoes when I could by them fresh from my local farmer each week? Regardless, this summer I decided to preserve the season’s bounty when “Farmer Mark” gave me a great deal on figs. (Does it get any better than “Free”?) For the past two years, he’s held aside about 10lbs of local figs and challenged me to make something wonderful with them. I wasn’t in the mood to make fig bars, (which is what I did last year,) so I decided to preserve them. But even though I had wanted to try preserving for years, I was nervous about the process. Would the fruit “keep” the way it was supposed to or would I be responsible for infecting all of my friends and family with botulism? Did I really want to spend all afternoon sweating over a hot stove? Would what I made even be edible? 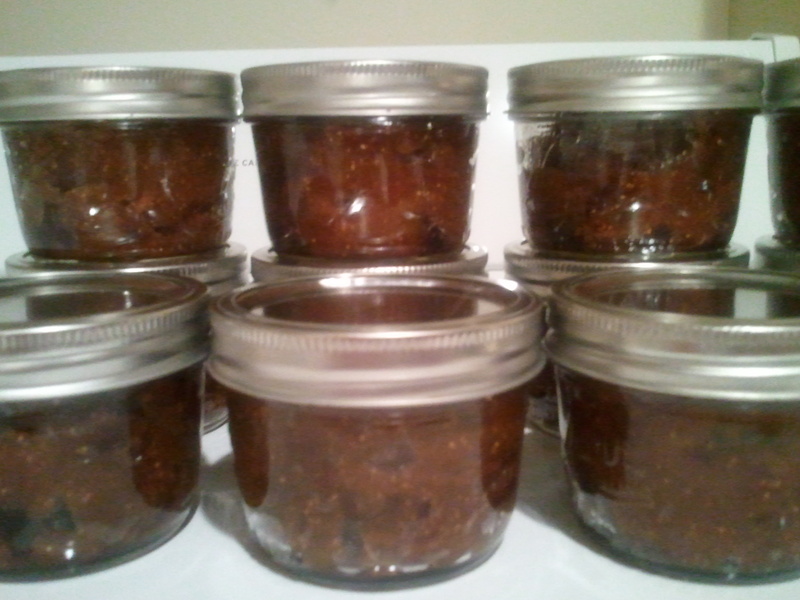 Really, could one person eat 12 jars of fig jam? So pushing my concerns aside, I bravely made my way to the end of town where one of the local feed stores had converted an out-building into the “Canning Headquarters of Fallbrook”. As I was browsing the racks and racks of supplies, jars and recipes I spotted a picture on the wall and had one of the most visceral reactions to a photo in my life. It was a 1950’s era ad of a woman in the kitchen – complete with apron, pearls and heals – who was showing off her most recent batch of preserves. Rather than snickering in disgust like the good feminist that I am, I realized that I wanted to be that woman and in an instant my hesitation about canning evaporated. My mom had given me a canning stockpot and rack the previous summer so all I needed were the jars and “canning kit”. (A canning kit is comprised of a wide-mouth canning funnel, hot jar lifter, jar opener wrench, kitchen tongs and a magnetic lid lifter.) I also decided to splurge and purchase a food scale – I’d wanted one for years anyway and I knew it would come in handy when it was time to break down the figs – and if this experiment was successful – other produce. 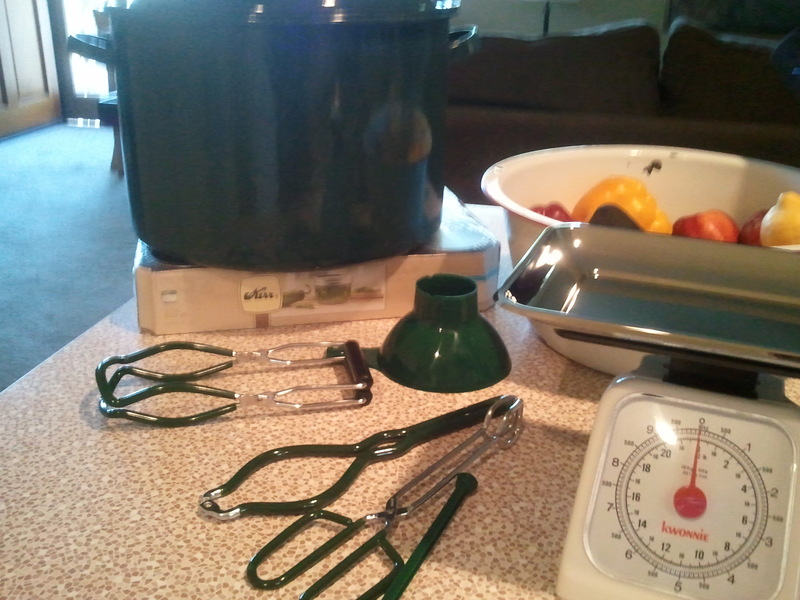 Armed with my new purchases, I headed home to begin the arduous process of turning 10lbs of figs into jam.